Every horse owner has heard the expression, “No hoof, no horse.” While horses must live with the hooves that they’re born with, there are certain things horse owners can do to help keep their horse’s hooves healthy, and prolong his life and riding career. Nutrition is important to hoof condition, as a horse’s hooves contain over 90% protein. The protein, keratin, is a major component of hooves and hair. Keratin is made up of amino acids and contains a high concentration of sulfur. Cysteine, the primary amino acid in keratin, is derived from methionine and other sulfur-containing compounds, such as biotin. Vital to the development of connective tissue, biotin plays an important role in the health of your horse’s muscles, skin, hair and hooves. Biotin, the B-complex vitamin known as vitamin H, is essential for protein metabolism and contributes sulfur for proper keratin formation of the hoof wall. Based on European studies, farriers, nutritionists and vets recommend a daily intake of 15 to 20mg. All B-vitamins are indispensible in proper nutrient utilization. Pyridoxine (vitamin B-6) is specific in the enzyme system involved in converting methionine to Cysteine. Some horses may have poor hooves and require additional hoof supplementation, either year-round or only during certain time periods, depending on the environment, feed changes or activity. Extremely dry weather draws moisture out of the hoof, causing them to become brittle, crack, chip or crumble. Cold weather with snow and ice conditions are hard on hooves, causing cracks and chips; while wet climates over-saturate hooves, softening and weakening the hoof wall, and allowing thrush to thrive. Cold weather also increases nutritional demands, making it vital to ensure your horse has the proper nutrition through the winter. During these times, horses should be given a quality hoof supplement, such as Horse Health Shur Hoof Hoof Supplement with their daily ration. 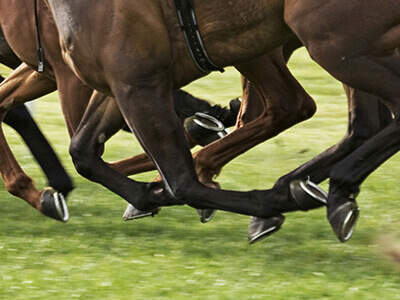 Other horses that may benefit from a hoof supplement include larger horses, such as drafts, since they require more biotin than lighter breeds. Performance horses or those ridden on hard or rocky ground may need nutritional help for hooves. Horses with chronic hoof problems, such as white line, tender soles, brittle, cracked and crumbling hoof walls, may also do well with prolonged supplementation. Since it takes about a year for a hoof to grow out, it takes time to see a benefit from a hoof supplement. Data suggests at least 5 months before significant improvement may be seen. The hoof wall is the hard, horny outer layer of the foot and serves several important functions, including housing and protecting the sensitive inner foot, supporting weight and absorbing shock. The hoof wall is not flexible and cannot expand when an injury causes the tissues to swell. The coronary band lies beneath the surface of the coronet. It’s the primary growth and nutritional source for the hoof wall, making it the ideal place to apply a hoof conditioner. Trauma to the coronary band can result in permanent injury and disrupt proper hoof growth to the point where the horse is no longer rideable. If the hoof wall dries out or is too soft, it becomes more inclined to develop cracks and splits; therefore, it’s best to keep the hoof at an appropriate moisture level. For this reason, hoof dressings, such as Horse Health Shur Hoof Moisturizer are the most commonly used hoof care products to help increase the moisture in the hoof wall. Since a horse’s hooves play a key role in its ability to survive and function, caring for your horse’s hooves requires a lot more than just scheduling regular visits with your farrier. What you do on a daily basis largely determines the condition of your horse’s hooves. Horse Health and Shur Hoof are trademarks of Farnam Companies, Inc.